Laurence is a UK music producer, pianist and son of professional composer and arranger Anthony Wakefield and operatic vocalist Pamela Wakefield. Music has been a big part of Laurence’s life. He started playing the piano at the age of seven and at an early age he started performing and writing music. A big influence for him was dance music from the 90’s. The amazing piano riffs taken from this era of music were the basics for forming his style. Along with his piano skills, he studied music production and gradually built up his studio while he was performing in a number of bands. Laurence got an award for his track ‘ A Balearic Dream’ which was the fastest climber in the BT ‘Get Out There’ online dance chart in 1999. Laurence performed the keys for RnB singer Nancee at her London tour when promoting her debute album. He performed at a number of well known Central London venues and festivals, alongside chart acts and X factor finalists. In 2014, his track ‘No Ground, No Fans’ featuring the Wealdstone Raider went viral on the internet and was backed by the Daily Mirror for Christmas number one in 2014. Laurence now performs an exciting and refreshing live Funky Old Skool Piano Mash-Up which is ideal for Parties, Weddings, Corporate Events and other functions. He performs a live solo act to sequenced drum and bass backing. An ideal and spectacular halfway break in a traditional DJ set that will guarantee to get everyone up and moving on the dance floor. 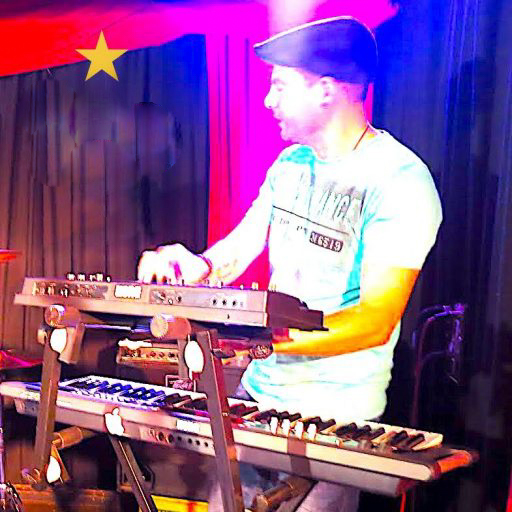 He performs using a Korg X50 synth with sequenced drums and bass backing to a high standard. He plays keyboards and triggers the drum and bass parts live as part of the performance. Laurence has been playing the piano for years in many bands and is also a producer. He enjoyed success with the Wealdstone Raider whom he produced a big underground hit for a couple of years ago. Laurence always gets a fantastic response with the vibe and memories of the old dance floor fillers from the late 80’s, 90’s and 2000’s. The Funky Old Skool Piano Mash-Up is great alongside a DJ set, percussionist, electric violin and sax.